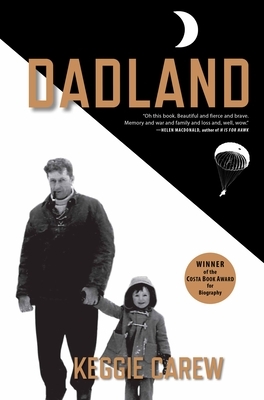 Dadland (Hardcover) | Eagle Harbor Book Co.
Keggie Carew grew up in the gravitational field of an unorthodox father who lived on his wits and dazzling charm. For most of her adult life, Keggie was kept at arm's length from her father's personal history, but when she is invited to join him for the sixtieth anniversary of the Jedburghs--an elite special operations unit that was the first collaboration between the American and British Secret Services during World War II--a new door opens in their relationship. As dementia stakes a claim over his memory, Keggie embarks on a quest to unravel her father's story, and soon finds herself in a far more consuming place than she had bargained for. Tom Carew was a maverick, a left-handed stutterer, a law unto himself. As a Jedburgh he was parachuted behind enemy lines to raise guerrilla resistance first against the Germans in France, then against the Japanese in Southeast Asia, where he won the moniker "Lawrence of Burma." But his wartime exploits are only the beginning. Part family memoir, part energetic military history, Dadland takes us on a spellbinding journey, in peace and war, into surprising and shady corners of twentieth-century politics, her rackety English childhood, the poignant breakdown of her family, the corridors of dementia and beyond. As Keggie pieces her father--and herself--back together again, she celebrates the technicolor life of an impossible, irresistible, unstoppable man. Keggie Carew has lived in London, West Cork, Barcelona, Texas, and New Zealand. Before writing, her career was in contemporary art. She has studied English Literature at Goldsmiths, run an alternative art space called JAGO, and opened a pop-up shop in London called theworldthewayiwantit. She lives near Salisbury, in the UK.